Hey guys! 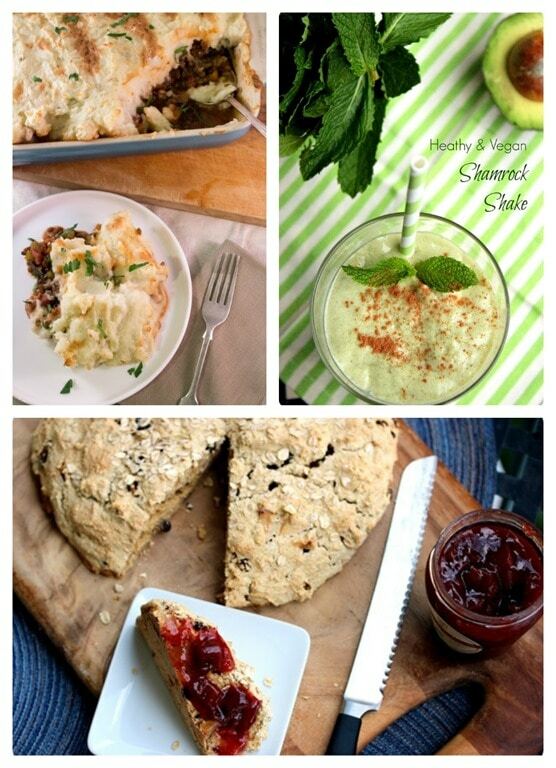 Before I get into today’s blog post, to get you ready for St. Patrick’s Day tomorrow, here are a couple of my favorite St. Patty’s appropriate recipes here on the blog: Healthy Shamrock Shake + Whole Wheat Irish Soda Bread + Vegan and Gluten Free Shepherd’s Pie. :) Enjoy them! 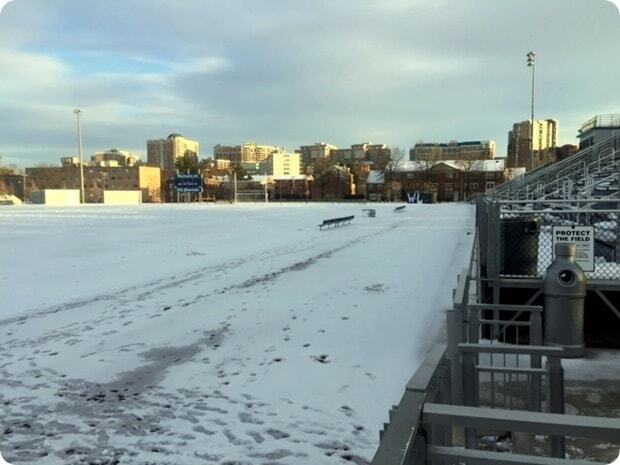 I had a feeling the track would be too icy for any running this week, which is why I suggested to Chelsea that we hit up BLAST yesterday morning for a treadmill bootcamp class! (It’s a lot like OrangeTheory, except it’s on ClassPass and you don’t use heart rate monitors.) Both of us are training for Cherry Blossom 10 Miler so it was a great way to get in some running while the sidewalks and track were out of commission. 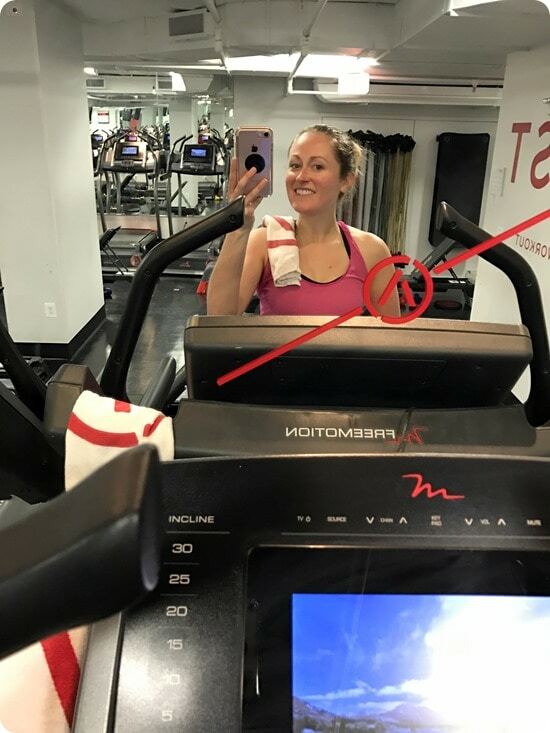 We both really enjoyed the class, which consisted of switching back and forth between the floor for strength moves and the treadmills for various hills/sprints. Whew! In food news, Matt and I have had some great dinners this week! 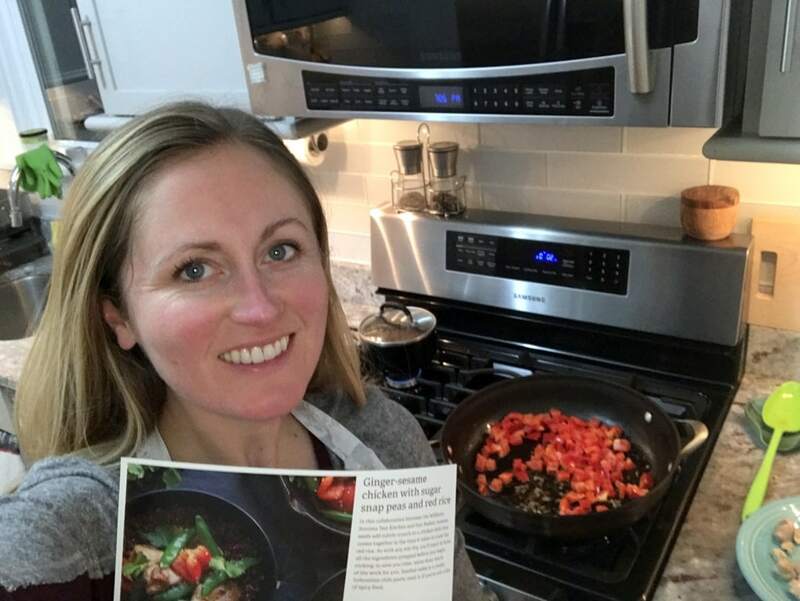 We are still loving Sun Basket (<- affiliate link for 3 free meals), so much that as I mentioned last month I signed on as a brand ambassador with them. (Translation/disclosure: we are still paying for all our meals every week, but I am compensated for a monthly blog review.) Sun Basket is a weekly healthy meal kit delivery service; each Monday we receive a box of sustainably sourced, organic ingredients and easy, delicious recipes to make 3 meals. 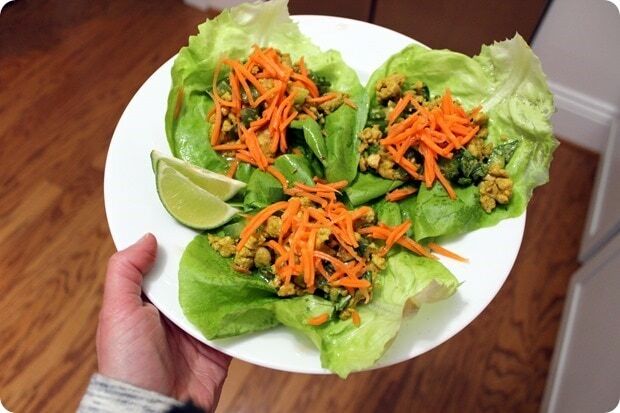 On Monday night, we enjoyed these delicious Thai turkey lettuce cups – we were both huge fans of these, and they were the perfect light meal since we had both done some snacking later in the day and weren’t crazy ravenous. The pickled carrot was a fun addition, and we loved the Thai dressing (pure maple syrup + fish sauce + lime juice) too! 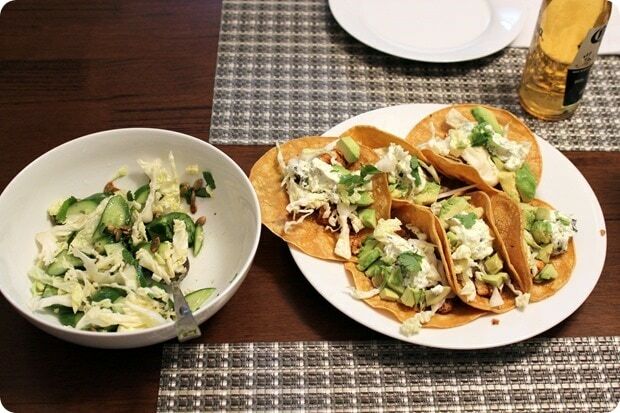 On Tuesday night, we decided it should be Taco Tuesday! 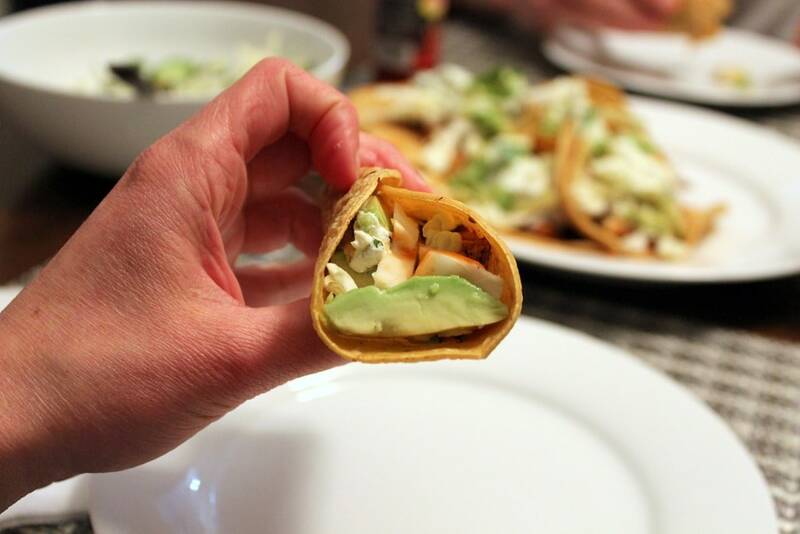 I could probably eat tacos every day and not get sick of them so anytime I see tacos pop up as one of the meal options in Sun Basket I always select them (love that you can mix and match which meals you want each week)! On the menu: Fish tacos with avocado, mint yogurt sauce, and a fun cucumber salad (that we added some of the extra cabbage to). We served it up family style. They were delicious – we both especially enjoyed the yogurt sauce! Delicious! And I have a bit leftover for lunch today, too, which is always nice! If you’ve been thinking about trying Sun Basket, do it! We love it. 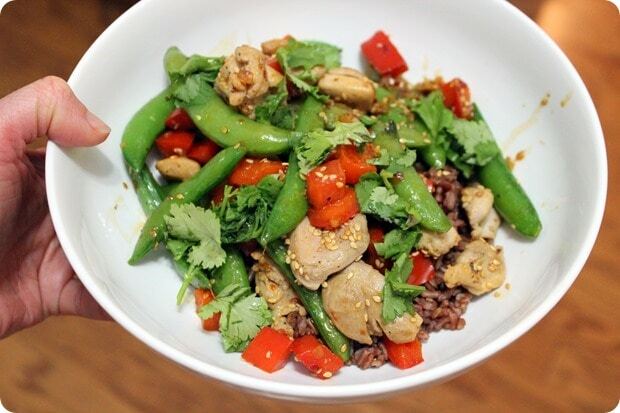 Having the ingredients and recipes to make 3 healthy dinners show up on our doorstep every week is the best thing ever. Makes our lives so much easier. :) Use my Sun Basket affiliate link for 3 free meals on your first order! Have a fabulous day my friends! 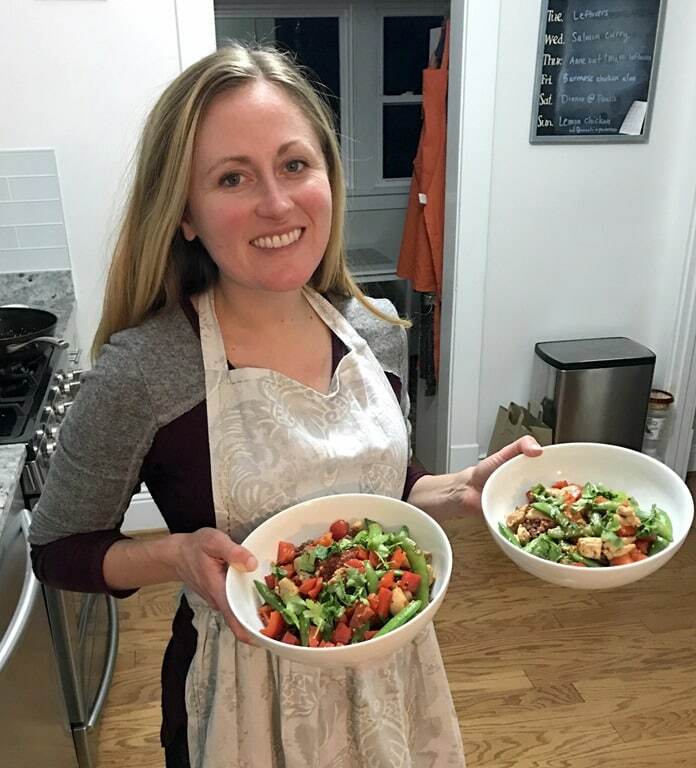 And stay tuned – tomorrow I’m sharing the second post in my running nutrition tips series (Part 1 was How to Fuel a Long Run) – this time I’ll be talking about how to fuel before and after a run! So jealous that you’re going to New Mexico! After last week’s awesome weather where it was 70 degrees and sunny, I can’t take this icy nonsense. Fingers crossed we have great weather for the Cherry Blossom 10 Miler! Yes, I’m reeeeally hoping it’s not like last year with the crazy cold and insane wind!! New Mexico is awesome! Where are you going? Be warned it might not be much warmer than DC this time of year (when I lived there, it was often single digit temps when I left for work in the morning). Albuquerque! Looks like it’s going to be in the 70’s and 80’s during the day (but down to pretty cold temps at night) – woohoo! Fun! I was about 2k feet higher up and a good bit north, so you’ll definitely not be as cold as we were sometimes. If you get a chance, go to The Frontier for breakfast. Yup, all of that snow and ice is still here. I have been waking up to do the carry the sneakers and walk in snowboots to the gym. Spring will be here soon…I hope. Way to still get out there! I’ve heard a lot about Barry’s – always wanted to try it! So excited to see and hear about your Brooks trip! Those trips and events look like so much fun! Have fun on your trip! I absolutely love New Mexico. There are some really great hiking trails there, and great food too! I LOVE Blast! I used to go when I lived in a Atlanta. The owner is awesome and I did a fun interview with her in 2015. I wish they would bring one to Tampa!!! Looking forward to seeing you tomorrow. Safe travels! Oh that’s awesome! Can’t wait to see you soon! Mmm I love breakfast tacos!